This lecture is a guest lecture by Professor David Swensen, Yale University’s Chief Investment Officer. The starting point for Professor Swensen is an article entitled Crash Course, published in Barron’s in the wake of the financial crisis from 2007-2008. This article blames his endowment investment approach for a failure of diversification and an overemphasis on alternatives. Subsequently, Professor Swensen characterizes three major determinants of investment return–asset allocation, market timing, and security selection–and outlines the importance of asset allocation as the predominant component. Against the background of these three tenets, he revisits Barron’s criticism and defends the virtues of diversification against an exaggerated perception of the needs for safety in the immediate aftermath of a crisis. Moreover, he counters the critique of overemphasizing alternatives with a longer-term view on the performance of the Yale portfolio. In the concluding question-and-answer session, he elaborates on the difference between endowment management and fund management, recent developments in the hedge fund and private equity fund industry, and on measures of investment performance beyond the Sharpe ratio. Professor Robert Shiller: It’s amazing. Professor David Swensen: I thought this was going to be a polite introduction. I used to be proud of the swap thing, but that was before the crisis. Professor Robert Shiller: Well, that’s financial innovation. I think, swaps are a very important new technology. We’ve been talking about that. So anyway, just to remind you–David Swensen came to Yale in 1985, when the portfolio was worth less than $1 billion. And as of June, 2010, it’s $16.7 billion. Professor David Swensen: And climbing. 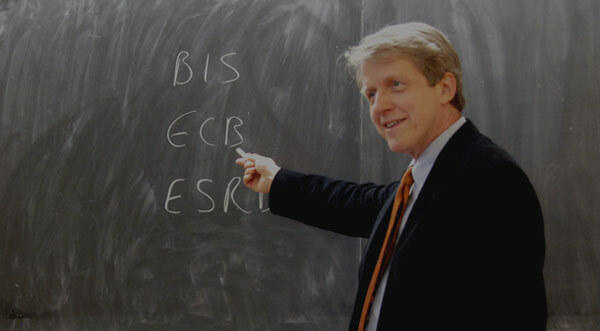 Professor Robert Shiller: And climbing. And this is a financial crisis, but between 2009 and 2010, the portfolio went up $1.4 billion, so there’s no crisis around here. Well, there was a little hitch at one point. But that kind of thing happens. I take pride in training young people in finance. David Swensen has done the same with many young people. Notably, Andrew Golden, who heads the Princeton portfolio, is one of your trainees. And he’s had an almost as spectacular record as well. Well, with that introduction, I will turn it over to David Swensen. Professor David Swensen: Thank you. Professor David Swensen: So, I’ve been at Yale for, I guess, more than 25 years now. And for most of the 25 years, if there was any publicity, the publicity was pretty good. For the past couple of years, it’s been a little bit mixed. And, I liked it better, before the publicity was mixed. I liked it, when every article that you would read had something great to say about the Yale Approach or the Swensen Model. But after the collapse of Lehman Brothers and the onset of the financial crisis, it didn’t take very long for the negative headlines to appear. As a matter of fact, I carry around this Barron’s article that appeared in November 2008, and the title was ”Crash Course.” And it talked about colleges cutting budgets, freezing hiring, scaling back building projects. And it blamed the Yale Model and the Swensen Approach for being too aggressive. They said in Barron’s that university endowments should own more stocks and bonds, less in alternatives, because the alternatives provided too little diversification and too little liquidity. So, I thought what we could do today as a jumping off point is, talk about what it is that Barron’s meant when they were talking about the Swensen Approach or the Yale Model and–I think, when it was successful, it was the Yale Model, and when it failed, it was the Swensen Approach, which I really don’t like. There’s an asymmetry there. I keep thinking that I should name it after one of the guys in the office. Maybe it should be the Takahashi Approach instead of the Swensen Approach. It’s time for him to have some glory, right? Talk about what it is that Barron’s meant by the Swensen Approach or the Yale Model, and see, whether, indeed, the criticisms that they levy, that there’s too little diversification and two little liquidity, whether those criticisms are valid. But to do that, let’s go back to 1985, when I first arrived at Yale. It was April 1, 1985, for those of you who care about April Fools’ Day. I came from a six-year stint on Wall Street, and I had no significant portfolio management experience. As Bob mentioned in his introduction, I’d been involved with structuring the first swap transaction in 1981, when I worked for Salomon Brothers. It was a swap between IBM and the World Bank. And later, Lehman Brothers hired me to set up their swap operations. So, generally what I was doing on Wall Street was working with new financial technologies and being involved with the early days of swaps transactions. It was a much smaller market then, it wasn’t hundreds of trillions. And it was a much less efficient market then, so the trades were incredibly profitable. Commodity swaps today trade on razor thin margins, and tend not to be anywhere near as profitable as they were when the markets were much less efficient. How did I end up at Yale? Well, one of my dissertation advisors called me and said they needed somebody to manage the portfolio. And after coming to New Haven and talking to them about the job, I realized that my heart wasn’t in Wall Street. My heart was in the world of education, and at Yale in particular. So I came up here, amazed that I was responsible, as Chief Investment Officer, for this portfolio. It was less than $1 billion, but close to $1 billion. And the first thing I did was, I looked around to see what other people were doing. That seemed like a sensible way to approach the portfolio management problem. There must be some smart people at Harvard or Princeton or Stanford putting together portfolios that make sense for endowed institutions. What I saw was that colleges and universities had, on average, 50% of their portfolio in U.S. stocks, 40% of their portfolio in U.S. bonds and cash, and 10% in a smattering of alternatives. Professor David Swensen: OK, so if it goes back to 1802, Jim was just picking up on the vernacular and used it as a way to describe what it is that he did his work for. And Harry Markowitz, who actually did a fair amount of his work on modern portfolio theory at Yale’s Cowles Foundation, has said that diversification is a free lunch. I mean, didn’t you learn in introductory economics and intermediate [clarification: intermediate economics] that there ain’t no such thing as a free lunch? Economists are always talking about trade-offs. If you want more of this, you have less of that. Well, with diversification, that’s not true, right? If you diversify your portfolio for a given level of return, you can generate that return at lower risk. If you diversify for a given level of risk, you can generate higher returns. So, diversification is this great thing, it’s a free lunch, it’s something that everybody should embrace. Well, if you look at the portfolios that I saw in the world of endowment investing in the mid-1980s, they weren’t diversified, right? If you’ve got half of your assets in a single asset class, U.S. stocks, and you have 90% of your assets in U.S. marketable securities, you’re not diversified. Half your assets in a single asset class is way too much. And the 90% that are in stocks and bonds under many circumstances will respond to the same driver of returns, interest rates, in the same way, right? Lower interest rates, mathematically, are good for bonds, and lower interest rates lower the discount rate that you use to discount future earning streams, so they’re probably going to be good for stocks too. And vice versa. And the second thing I thought about was the notion that endowments have a longer time horizon than any investor that I know. And if you’ve got a long time horizon, you should be rewarded by accepting equity risks. Because those equity risks, even though they might not reward you in the short run, will reward you in the long run. So, with a mission, as a manager of an endowment, to preserve the purchasing power of the portfolio in perpetuity, I expected that other endowments would have substantial equity exposures, to take advantage of the fact that, in the long run, that’s where you’re going to generate the greatest returns. But if you think about those endowment allocations that I saw in the mid-1980s, 40% of the assets were in bonds and cash, which are low expected return assets. So, the portfolios that I saw when I got to Yale failed the basic common sense test of diversification and equity orientation, and it prompted me and my colleagues to go down a different path, to put together a portfolio that had reasonable exposure to equities, and put together a portfolio that was sensibly diversified. So, if you decide that you think the prospects of Ford are superior to the prospects of GM, well, you want to overweight Ford and underweight GM. And if that turns out to be a good bet and you’re rewarded, because Ford outperforms and GM underperforms, then you have a positive return to security selection. If the converse is true, then you have a negative return to security selection. But one of the really important facts about security selection is that, if you play for free, it’s a zero sum game. Because if you’ve over weighted Ford and underweighted GM, there has to be some other investor or group of investors that are underweight Ford and overweight GM, because this is all relative to the market. And so, if you’re overweight Ford and underweight GM and somebody else is underweight Ford and overweight GM, well, at the end of the day, the amount by which the winner wins equals the amount by which the loser loses. And so, it’s a zero-sum game. But of course, if you take into account the fact that it costs money to play the game, it turns into a negative-sum game. And the negative-sum is the amount that’s siphoned off by Wall Street, right? And Wall Street takes its pound of flesh in the form of market impact, in the form of commissions, in the form of fees that are charged to manage the portfolio actively, and then sometimes there are even fees to consultants to choose the manager. So, there’s an enormous drain from the system that causes the active investment activity to be a negative-sum game for those investors that decide to play. So, let’s take these in turn and start out with asset allocation. Asset allocation is far and away the most important tool that we have available to us as investors. And when I first started thinking about this 25 years ago, I thought, well, maybe there’s some financial law that says that asset allocation is the most important tool, because it seems pretty obvious that that was going to be the most powerful determinant of returns. But it turns out, that it’s not really a law of finance that asset allocation dominates returns, it’s a behavioral result of how it is that we as individual investors, or we as institutional investors, manage our portfolios. If I make it back to my office, traversing these icy sidewalks, I could go back, I could take Yale’s $17 or $18 billion dollars and put it all in Google stock. If I did that, I’m not sure how long I’d keep my job. It might be fun for a while, but that would probably be damaging to my employment prospects. But if I did that, asset allocation would have almost nothing to say about Yale’s returns. It would be the idiosyncratic return associated with Google that would determine whether the endowment went up or down or stayed flat. And so, security selection would be the overwhelming important determinant of returns for Yale’s endowment. And if it wasn’t exciting enough to sell everything and put it all in Google stock, maybe I could go back to my office and start day trading bond futures. Well, if I took Yale’s entire $17 or $18 billion dollars and started trading bond futures with it, asset allocation would have very little to say about Yale’s return. Security selection would probably have very little to say about Yale’s return, so it would all be about market timing ability. And if I’m great at following the trend–the trend is your friend–of course, that’s true until it’s not. Or if I’ve got some sort of marvelous scheme to outsmart all the other smart people, who are trading in the bond market, I could generate some nice returns. But those returns would have nothing to do with asset allocation, nothing to do with security selection, and everything to do with market timing. Of course, these sound like ridiculous things, right? I mean, everybody in this room knows, that I’m not going to go back and put Yale’s entire endowment in one stock. And we also know, that I’m not going to go back and day trade futures with the endowment. I’m going to go back, and the portfolio is going to look a lot like it looked yesterday, and the day before, and the month before that, and the year before that, because as investors, whether we’re individual investors or institutional investors, we tend to have a sensible, stable approach to asset allocation. And within the asset allocation framework that we employ, we tend to hold well-diversified portfolios of securities within each of the asset classes. So, that means that asset allocation is going to be the predominant determinant of returns. Bob Shiller and I have a colleague at the School of Management, Roger Ibbotson, who’s done a fair amount of work looking at the various sources of returns for investors. And a number of years ago, he came out with a finding that more than 90% of the variability of returns in institutional portfolios had to do with the asset allocation decision. And that was a very widely read, and widely accepted conclusion. In that same study, I thought that there was a more interesting conclusion, and that was that asset allocation actually determined more than 100% of investor returns. How could that be, how could asset allocation determine more than 100% of returns? Well, it goes back to the discussion that we had about security selection and the fact that it’s not free to play the game, and the same thing’s true about market timing. Right? If somebody is overweighting a particular asset class relative to the long-term targets that they’ve got, well, there’s got to be an offsetting position in the markets. Market timing is expensive in the same way that security selection is expensive. And so, it, too, is a zero-sum game, even though the analysis that you’d apply to market timing isn’t quite as clear and crisp as in the closed system that you’ve got with any individual securities market. So, if security selection and market timing are negative-sum games, then asset allocation would explain more than 100% of the returns. And, on average, for the community as a whole–because investors do engage in market timing, investors do engage in security selections–those are going to be negative-sum games, and you have to subtract the leakages occurring because of security selection and market timing, in order to get down to the returns that you would get if you just took your asset allocation targets and implemented them passively. So, it turns out that asset allocation is the most important way that we express our basic tenets of investment philosophy. I talked about the importance of having an equity bias. Well, these are some of Roger Ibbotson’s data. He’s got this publication called Stocks, Bonds, Bills, and Inflation, although he might have sold it to Morningstar, so maybe it’s Morningstar’s publication now. And it actually is an outgrowth of some academic research that he did decades ago. And the basic drill was, starting in 1925, looking at a number of asset classes–the ones that I’ve got here are Treasury bills, Treasury bonds, large stocks, small stocks, and then, as a benchmark, inflation–starting the investment at the end of 1925, taking whatever income was generated from that investment, reinvesting it and seeing where you end up at the end of the period. I’ve got here the numbers from 1925 to 2009. And if you did that with Treasury bills, which are short-term loans to the U.S. government, one of the least risky assets imaginable, you would have ended up with 21 times your money over the period. If you think about that, 21 times your money, that’s pretty good. But if you think about the fact that inflation consumed a multiple of 12, well, you didn’t end up with a lot after inflation. And if you’re an institution like Yale and you only want to consume after-inflation returns, so you can maintain the purchasing power the portfolio, well, 21 times, but taking off 12 times for inflation, not so good. One of the interesting things about the Stocks, Bonds, Bills, and Inflation numbers over long periods is that they correspond to our sense of the relationship between the riskiness of the asset, and the notion that, if you accept more risk, you should get higher returns. And so, if you move up the risk spectrum and, instead of looking at Treasury bills, you look at Treasury bonds, you end up with a multiple of 86 times. That’s pretty good, 86 times. I mean, it’s a lot better than, whatever, 21 times for bills. It’s still not a huge return for decades and decades of investing. So, what happens if you move away from lending money, in this case lending money to the government, to owning equities? The multiple over this period–and this includes the crash in 1929, the market collapse in 1987, and the most recent financial crisis. In spite of those blips, you would’ve ended up with 2,592 times your money. That’s stunning, that’s way more than 86 times and way more than 21 times. So, over long periods of time, you do end up being rewarded for accepting equity risk. And what would’ve happened if you would have put the money in small stocks and let her run? 12,226 times your money. So, the conclusion is pretty obvious. This notion that, if you’ve got a long time horizon, you want to expose your portfolio to equities, makes an enormous amount of sense. As a matter of fact, the first time I took a look at these numbers was back in 1986, when I was teaching–probably a predecessor to the class that Bob Shiller’s teaching, it was a lecture class in finance–and I was preparing the lecture that had to do with long-term investment philosophy. And that’s when I first saw these numbers, and I was little bit disconcerted when I put them together. Because I thought, gee, 21 times for bills, 86 times for bonds, 12,226 times for small stocks. Maybe the right thing to do is to just put the whole portfolio into small stocks and forget about it. And my first problem was that, if that were true, what was I going to say for the next ten weeks of lectures? My longer-term problem was, that, if the investment committee figured out, that all we needed to do is put the whole portfolio in small stocks, and that that was the way to investment success, I wouldn’t have a job. They wouldn’t need me to do that. And I had a wife and young children, and I like getting a paycheck and being able to feed and house them. So, I took a look at the data more carefully, and there’s a number of examples of what it is that I’m going to talk about. But the most profound example remains around the great crash in 1929. And if you’d had your whole portfolio in small stocks at the peak, by the end of 1929, you would have lost 54% of your money. By the end of 1930, you would have lost another 38% of your money, by the end of 1931, you would have lost another 50% percent. And by June of 1932, for good measure, you would’ve lost another 32%. So, for every dollar that you had at the peak, at the trough you would have had $0.10 left. And it doesn’t matter, whether you’re an investor with the strongest stomach known to mankind, or you’re an institutional investor with the longest investment horizon imaginable, at some point, when the dollars are turning into dimes, you’re going to say, this is a completely ridiculous thing to accept this much risk in the portfolio. I can’t stand it. I’m selling all my small stocks and I’m going to buy Treasury bonds or Treasury bills. And that’s exactly what people did. And there was this sense in the 1930s, 1940s, even into the ’50s and ’60s, that heavy equity exposures weren’t a responsible thing for a fiduciary. When I was writing my book, I was fooling around looking at articles from the Saturday Evening Post–and I know everybody here is too young to [have] seen the Saturday Evening Post when it was still publishing, but you’ve all seen Norman Rockwell prints, right? Well, he was famous for doing covers for the Saturday Evening Post. And there was this article in the 1930s–that’s actually before my time, so I was looking at things in the library, not things that actually had been delivered to my doorstep–and the commentator said that it was ridiculous that stocks were called securities. That they were so risky that we should call stocks insecurities. There was just this visceral dislike for the risks that were associated with the stock market, because it had caused so many investors so much pain. So yes, stocks are a great thing for investors with long time horizons, but you need to diversify, because you’ve got to be able to live through those inevitable periods, where risky assets produce results that are sometimes so bad as to be frightening. Second source of return, market timing. A few years ago, a group of former colleagues of mine gave me a party at the Yale Club, and they presented me with a copy of Keynes’s General Theory–because back, when I used to teach a big finance class like this, the last class always involved reading from Keynes. And I think Keynes is one of the best authors about investing and financial markets, bar none. I remember one of my students telling me afterwards, that I was reading from Keynes as if I were reading from the Bible. And I had this paperback copy that was falling apart, and my former students remembered this and they gave me this beautiful first edition of Keynes. And I was on the train back from New York, where the party had occurred, to New Haven and I found this quote. “The idea of wholesale shifts is, for various reasons, impracticable and indeed undesirable. Most of those who attempt to, sell too late and buy too late and do both too often, incurring heavy expenses”–there’s that negative-sum game thing–“and developing too unsettled and speculative a state of mind.” And as, in most things, the data support Keynes’s conclusions. Morningstar did a study of all of the mutual funds in the U.S. domestic equity market, and there were 17 categories of funds. And what they did with this study is, they looked at 10 years of returns and compared dollar-weighted returns to time-weighted returns. The time-weighted returns are simply the returns that are generated year in and year out. If you get an offering memorandum or a prospectus, they’ll show you the time-weighted return. If you look at the advertisements, where Fidelity is touting its latest, greatest funds, the returns that you see are time-weighted returns. Dollar-weighted returns take into account cash flow, right? So, in a dollar-weighted return, if investors put more money into the fund in a particular year, that year’s return will have a greater weight in the calculation. So, here we have all the mutual funds in the U.S., 17 categories, time-weighted versus dollar-weighted. In every one of those categories, the dollar-weighted returns were less than the time-weighted returns. What does that mean? That means that investors systematically made perverse decisions, as to when to invest and when to disinvest from mutual funds. What investors were doing, they were buying in after a fund had showed strong relative performance and selling after a fund had shown poor relative performance. So, they were systematically buying high and selling low, and it doesn’t matter whether you do that with great enthusiasm and in great volume, it’s a really, really bad way to make money. Very difficult. So, the conclusion for these individuals that operate in the mutual fund market, is that their market timing decisions were systematically perverse. I also took a look at the top 10 Internet funds during the tech bubble, something I published in my book for individual investors. And if you looked at the top 10 Internet funds three years before and three years after the bubble, the time weighted return was 1.5% per year. You look at that and you say, 1.5% per year, well, the market went way up and way down, but 1.5% per year, that’s not so bad. No harm, no foul. Investors invested $13.7 billion and lost $9.9 billion, so they lost 72% of what they invested. How could it be that they lost 72% of the money that they invested, when the time-weighted return was 1.5% per year for six years? Well, they weren’t invested in the Internet funds in ‘97, and they weren’t invested in ‘98, and they weren’t invested in early ‘99. It was in late ‘99 and early 2000, that all the money piled in at the very top. And then, in 2001 and 2002, bitterly disappointed, they sold. So, they lost 72% of what they put in, even though the time-weighted returns were 1.5% per year positive. So, institutions don’t get a free pass either. If you look at the crash in October, 1987, which was an extraordinary event–I think, the calculation I did put it at a 25 standard deviation, which is essentially an impossibility. But however you measure it, it was an extraordinary event. And what happened on October 19th, 1987? Well, stock markets the world around went down by more than 20%. What people forget is, along with the stock markets going down, there was a huge rally in government bonds, flight to safety. So, stocks were cheaper, bonds were more expensive. What did institutional investors do? Well, they got scared, and they sold stocks and bought bonds. Same thing, buying high, selling low. As a matter of fact, endowments took six years to get their post-crash equity allocations back up to where they were before the crash, arguably underweighted in equities in the heart of one of the greatest bull markets of all time. So, it seems that investors, whether they’re individual or institutional, have this perverse predilection to chasing performance. Buying something after it’s gone up, selling something after it’s gone down, and using market timing to damage portfolio returns. The final tool that we have available to us as investors is security selection. I cite a study in my book, ”Unconventional Success,” conducted by Rob Arnott, that does a very good job of looking at 20 years worth of mutual fund returns. And he says that there’s about a 14% chance that–or historically there was a 14% chance–of beating the market after adjusting for fees and taxes. So, you’d think a zero-sum game would be a coin flip, 50-50. But because of the leakages from the system, and because of taxes, the probability of winning goes down to 14%. But oh by the way, that 14% ignores two very important things. One is that a huge percentage of mutual funds have front-end loads. If you call your friendly broker to buy a mutual fund, they’ll extract a payment of 2% or 3% or 4% or 5% or 6%. Those numbers aren’t included, so, if you included the loads, that would make the likelihood of winning substantially less than 14%. But even more important is the concept of survivorship bias. If you look at 20 years worth of returns, the only returns you can look at are the returns of the funds that survived for 20 years. Well, which funds didn’t survive? Almost always, the funds that don’t survive are the failures. So, you’re only looking at the winners. If you look at the winners and you only have a 14% chance, if you take into account the losers, that 14% chance has to go to, essentially, zero. And is survivorship bias an important phenomenon? It is. The Center for Research in Securities Prices has a survivorship bias-free U.S. mutual fund database, meaning that it tracks the funds that fail. There were 30,361 funds in the database. 19,129 were living. 11,232 were dead. So, more than a third of the funds in this survivorship bias-free database were ones that had died. And they died mostly, because they failed. And that’s kind of an honorable way to die. There are other ways to die. If you’re a big mutual fund complex like Fidelity and you’ve got an underperforming fund, what you tend to do is something like, oh, let’s merge that into this fund that has good performance. And guess what happens? Fidelity loses a fund that has bad performance, and one that has good performance has more assets, because they merge the underperforming fund into it, and makes them look like they’re a more successful fund management firm. There’s one other aspect of security selection that’s important, an aspect other than the fact that it’s a negative-sum game [that’s] very tough for practitioners to win. And that has to do with the degree of opportunity that you’ve got in various asset classes. A number of years ago, I wanted to come up with a way of identifying, in an analytical manner, where it is that we could find the most attractive investment opportunities. And, as far as I know, financial economists haven’t determined a way to directly measure, how efficient individual markets are. So, I took a look at distributions of returns for various asset classes. And I had this notion that, if a market priced assets efficiently, the distribution of returns around the market return would be very tight. Why would that be? Well, if somebody makes a big bet in an efficient market, by definition, whether that succeeds or fails has to do with more luck than sense. Right? Because the premise is, that these assets are efficiently priced, and you don’t make a big win on a big bet, unless there’s an inefficiency that you’re exploiting. So, if you’re making big bets in an efficiently priced market, you might win one year and gather more assets, and you might win another year and gather more assets, but, ultimately, your luck is going to run out and you’re going to fail. And then, people will fire you, and you’ll lose your assets, and lose your income stream. So, the right thing to do in an efficiently priced market is to hug the benchmark. People call it Closet Indexing, look like everybody else. And we’re human beings, we don’t like firing people and we don’t like admitting we’re wrong. And so, if somebody has market-like performance, and maybe it’s not all that outstanding, say, OK fine, we’ll just continue with this particular investment strategy, even though it’s not doing great things, at least it’s not doing terrible things. On the other end of the spectrum, maybe there’s not even a market that you can match with your investment strategy. I mean, think about venture capital. I mean, how is it that you could index venture capital? You can’t, it’s a bunch of private partnerships and a bunch of idiosyncratic enterprises. And, even if you wanted to, you couldn’t match the market. So, you’re forced to go out and forge your own path, and live and die by the decisions that you make. So, how does this thought piece translate into real numbers? So again, we’re looking at 10 years worth of returns for various asset classes. I look at the difference between the top quartile manager and the bottom quartile–the difference between first and third [correction: fourth] quartile, you can use any measure of distribution that you want. And in the bond market, which is probably the most efficiently priced of all markets–and the reason it’s most efficiently priced is, because bonds are just math, right? You’ve got coupons, you’ve got principal, you’ve got probabilities of default, it’s the most easily analyzed of all the assets in which we invest. The difference between top quartile and bottom quartile is 0.50% per annum. Almost nothing. All bond managers are jammed together right in the heart of the distribution, because if they were out there making crazy bets and generating returns that were fundamentally different from the market, they’d be in that category of, yes, sure, it’s great, when it works, but when it doesn’t, you’re dead. Large cap stocks, less efficiently priced than bonds, but still pretty efficiently priced, two percentage points per annum difference first to third [correction: fourth] quartile over 10 years. Foreign stocks, less efficiently priced than those in the domestic markets, four points per year. Then you move into the hedge fund world, the part of the hedge fund world that we call absolute return at Yale, 7.1 percentage points, first to third [correction: fourth] quartile. Real estate, much less efficiently priced than marketable securities, 9.3 percentage points, top to bottom quartile. Leveraged buyouts, 13.7% difference, top quartile to bottom quartile. And the venture capital, 43.2 percentage points difference, top to bottom quartile. So, the measure that we have here of market inefficiency points us toward spending our time and energy trying to find the best venture capital managers, trying to find the best leveraged buyout managers, and spending far less of our time and energy trying to beat the bond market or beat the stock market. Because, even if you win there, even if you end up in the top quartile, you’re not adding an enormous amount of value relative to what you would have had, if you just would have bought the market. So, with that background, let’s revisit the criticisms that Barron’s leveled at the Yale Model and the Swensen Approach. First of all, they talk about diversification failing. And the fact is that, in a panic, only two things matter: risk and safety. And I saw this in 1987, saw it in 1998 with the collapse of Long Term Capital, and saw it in 2008 in a way that was even more profound than in ‘87 and ‘98. Investors sold everything that had risk associated with it to buy U.S. Treasuries. Safety was all that mattered. And of course, in that narrow window of time, diversification does fail. The only diversification that would matter in that instance is owning U.S. Treasuries. But if you owned a substantial amount of U.S. Treasury bonds–and what’s a substantial amount? 25, 30, 35% of your portfolio. Then, under normal circumstances, under the circumstances in which we live most of our lives, you’re paying a huge opportunity cost. So, you could have a portfolio with 30% in U.S. Treasuries, and year in and year out you would pay this opportunity cost. And then, when the crisis comes, you can be happy for six or 12 or 18 months, and then you go back to paying the opportunity cost. And I would argue that, if you expand your time horizon to a sensible length of time, that the strategy, where you hold relatively little in the high opportunity cost U.S. Treasuries, is the best strategy for a long-term investor. And there are those, who say that, well, diversification doesn’t protect you in times of crisis. What does it matter? Why would you want to diversify? Well, think about Japan. If you were local a Japanese investor and you wanted to have an equity bias in your portfolio–so, you owned lots of Japanese stocks–in 1989, at the end of the year, the Nikkei closed at about 38,000. At the end of 2009, 20 years later, the Nikkei closed at 10,500. So, with your long time horizon and equity bias in your portfolio over two decades, you would have lost 73%. So, diversification makes an enormous amount of sense in the long run, even if there are occasional panics, where you’re disappointed that the diversified approach that you had to managing the portfolio didn’t produce results. The second criticism, overemphasis on alternatives. Let’s just look at the last decade in Yale’s portfolio. Over the 10 years ended June 30, 2010, domestic equities produced returns of negative 0.7% per year, bonds produced returns of 5.9% per year. Let’s look at the alternatives, as opposed to domestic marketable securities. Private equity, 6.2% per year, real estate, 6.9% per year, absolute return, 11.1% per year, timber, 12.1% per year, and oil and gas, 24.7% per year. I think the numbers speak for themselves. If you have a sensibly long time horizon, these basic principles of equity orientation and diversification make an enormous amount of sense. And if you look at the bottom line, which is performance, when I began managing Yale’s endowment in 1985, it was less than $1 billion. The amount that we distributed to support Yale’s operations that year was $45 million dollars. For the year ended June 30, 2010, the endowment stood at a little bit above $16 billion dollars. The amount that we distributed to Yale’s operations was $1.1 billion. So, an enormous positive change over 25 years. If you look at Yale’s performance over the last 10 years, it’s still better than that of any other institutional investor, 8.9% per annum. And that compares to an average for colleges and universities of about 4.0% per annum. And that translates into $7.9 billion of added value, relative to where we would have been had we had average returns over the past 10 years. And the comparable numbers for 20 years are Yale at 13.1% per annum, again, the best record of any institutional investor in the United States. Relative to an average for colleges and universities of 8.8% per annum, and $12.1 billion of value added. So, the slings and arrows of outrageous fortune. I would suggest that the Barron’s articles really took far too short a time horizon. And looking at Yale’s performance and then looking at the Yale Model, which emphasizes a portfolio that’s well diversified and has a strong equity bias. And I think if we were back in this room five years or 10 years from now, we’ll see that the portfolio will continue to produce the same kind of strong long-run results as it has for the past 10 and 20 years. With that, I’d love to answer any questions that you might have. Student: How is your job similar or different to what a hedge fund manager would do? And what are the concerns that an institutional investor has to have, versus a personal investor, a wealthy individual? Professor David Swensen: So, the fundamental difference between what we would be doing at Yale, as opposed to a hedge fund manager, or a domestic stock manager, or a buyout manager, is that we’re essentially one step removed from the security selection process. So, our job is to find the best hedge fund managers, find the best domestic equity managers, find the best buyout managers, and put together partnerships that work for them and work for the university. And it’s a tricky thing to do, because, in the funds management world, there are all sorts of issues with respect to what economists call the principal-agent problem. And we’re principals for the university, engaging agents, the hedge fund managers or the buyout managers, and trying to find ways to get those agents to act primarily in the university’s interests, to get rid of those agency issues. And it’s a challenge, but a fascinating challenge, because in doing this, you end up meeting an enormous number of incredibly intelligent, engaged, thoughtful individuals that are involved in the funds management business. And it’s a fabulous career, at least from my perspective, because I get to do this and do it to benefit one of the world’s great institutions, Yale. In terms of differences between individuals and institutions, there’s some structural differences. We don’t pay taxes. And taxes are an enormously important determinant of investment outcomes for individuals. As an individual, you want to avoid paying taxes or defer paying taxes, because taxes are just a huge drag on investment returns. We don’t have to worry about that, by and large, in managing Yale’s portfolio. Another very fundamental difference has to do with the resources that we can bring to the investment management problem. Most individuals, and many institutions, just don’t have the wherewithal, either the background or the time, to make high-quality active management decisions. Markets are incredibly tough. Beating those markets is an incredibly difficult challenge. And doing it, by spending a couple of hours on a weekend once a month, isn’t going to cut it. And so at Yale, we’ve got 20, 21, 22 investment professionals, who are dedicating their careers to trying to make these high quality active management decisions, and so we can go out and have a decent shot at beating the domestic stock market and the foreign stock market, and putting together a superior portfolio of venture capital partnerships and hedge fund managers. And over the past five, 10, 15, 20 years, we’ve produced market-beating results. In contrast, an individual has almost no chance of beating the market. So I’ve written two books, one, Pioneering Portfolio Management that talks about how it is that, I think, institutions should manage their portfolio. And if they’ve got the resources–and it’s not just dollars, it’s the human resources–to make those high quality decisions. They can follow what Barron’s referred to as the Yale Model or the Swensen Approach. But the book that I’ve written ostensibly for individuals, but it’s really individuals and institutions that don’t have the same resources that Yale does to make these high quality active decisions. That book says, basically, what you should do, is come up with a sensible asset allocation policy, and, then, implement it using index funds, which are low-cost ways of mimicking the market. And oh, by the way, because they have very low turnover, generate very little in terms of tax consequences for the holders of those funds. So, it’s kind of an interesting world, where the right solution, I think, is either one extreme or the other extreme. You’re either completely passive or you’re aggressively active. But as in most things, most people are kind of in the middle, right? They’re neither aggressively active nor completely passive, but in the middle you lose. Because you end up paying high fees for mediocre active results, and that’s where most people end up, and most institutions. Student: Hi, so, my question is about–given you were talking about your equity orientation and bias, and given what’s going on right now with the stock market, just what your views are. Whether or not the stock market is currently expensive, and whether or not you have any money in tech stocks, with all the valuations and IPOs that have been going in that space. What do you think about that? And also, what would you do in terms of investing it in response to what your view is? Thank you. Professor David Swensen: So, one of the great things about having a diversified portfolio is that you can worry less about the relative level of valuation of various assets in which you invest. So, if you go back to the mid-’80s and you’ve got a portfolio that’s 50% in domestic stocks, you have to worry a lot about the valuation of that portfolio, because half of your assets are in that single asset class. But if you’ve got a well-diversified portfolio with, let’s say, minimum allocation of 5 to 10%, and now a maximum allocation of 25 to 30% in an individual asset class, the relative valuation of each of those asset classes matters less. And there’s another nice aspect to a rebalancing policy. If you set up your targets and you faithfully adhere to those targets–suppose, the domestic equities have poor relative performance. Well, then you’re going to buy domestic equities to get them back up to target, selling whatever it is that had superior relative performance to fund those purchases. And vice versa. If domestic equities have great relative performance, you’ll be selling to get back to your long-term target and buying other assets that have shown poor relative performance. So, if you’re in a circumstance, where domestic stocks are expensive, where you’re selling into this superior relative performance that the domestic equities are exhibiting, thereby maintaining your risk exposure at a level that’s consistent with what’s implicit in your policy asset allocation. So, that’s kind of a long way of saying, that, if somebody asked me whether stocks are expensive or cheap, my first line of defense, it doesn’t really matter all that much to me, because we’re well-diversified and because we do a great job of rebalancing. But the reality is that those questions are just incredibly tough to answer. If they were easier to answer, I guess I’d be much more excited about market timing as a way to generate returns. In terms of the second question, with respect to technology, Yale’s had a long-standing commitment to venture capital. And over the decades, it’s produced extraordinary returns for the university. And we continue to have a world-class group of venture capitalists. We’ve got exposure to companies like LinkedIn and Facebook and Groupon. And I hope that this wave of IPOs that people are writing about in the press actually occurs, because that would be very good for the university’s portfolio. It’s been a long time, right? We benefited enormously in the Internet bubble in the late 90s, and the last decade has been a bit fallow. We also find, on the marketable securities side, that technology stocks tend to be less efficiently priced than many other securities. And so, we have a manager that is heavily focused on information technology stocks and another manager that’s very heavily focused on biotechnology stocks. And both those managers have produced very handsome absolute and relative returns. And that’s an important part of our domestic equity strategy. Student: Thanks for coming. So, in recent years, the number of hedge funds, private equity firms, has gone up. And I wasn’t sure, how that’s changed the efficiencies of these alternative asset allocation markets. And if it’s changed the efficiencies, how have you changed your investment philosophies? And I was wondering, also, what are the structural patterns of these markets that would prevent the market from becoming very efficient, even if there are a lot hedge funds and a lot of funds of funds. Thanks. Professor David Swensen: That’s a really good question. I think, the most fundamental issue with the explosion of hedge funds and the explosion of private equity funds has to do with this negative-sum game that we were talking about. If you go back to the 1950s, the most common way that institutional assets were managed would be for an institution like Yale to go to a bank like Chemical Bank or JP Morgan. And they would pay a small fraction of 1% for a reasonably diversified portfolio, stocks, bonds, and there’d probably be some foreign stocks, and some domestic stocks. But the leakage from the system was very small. You look at hedge funds and private equity funds, they’re essentially dealing with the same set of securities that an institution used to pay two-tenths of a percent a year, or three-tenths of a percent a year for admittedly sleepy bank management. But it’s the same set of securities. Now, those securities are traded in a hedge fund format, or taken in a private equity fund format. And the fees that you’re paying are a point, a point and a half, two points. The typical ”two and 20.” And you’re paying a significant percentage of the profits. The 20 in the ”two and 20.” Think about that. The leakage from the system that goes to Wall Street is enormous, compared to what it was 10 years ago, or 20 years ago, or 30 years ago. So, there’s that much less left for us as investors. And I think that has huge consequences for endowments, foundations, pension plans, institutions of all stripes. And to the extent that individuals get exposure to these types of assets–and they’re largely wealthy individuals that end up getting the exposure–they’re going to suffer the same consequences of this huge leakage of higher fees and the profits interest to Wall Street. The question as to whether or not the money flowing to hedge funds is going to make markets more efficient and take away opportunities–I don’t worry too much about that. I think, the best talent is going to hedge funds, because if they’re in a long only domestic equity environment, maybe they can charge three-quarters of a percent or a percent, or if they’re in the mutual fund world, maybe they charge a percent and a half, or something like that. Well, you’d rather have ”two and 20” than 0.75, right? That’s easy. So, there’s a huge migration of talent to the hedge fund world. But, what I care about, when I look at the degree of investment opportunities, is this dispersion we talked about, and I haven’t seen the dispersion of results, top quartile to bottom quartile, compress at all. So, I don’t think, that we’re increasing the efficiency of the pricing of assets. I still need to go out there and be able to identify people in the top quartile or top decile, so that we can win relative to the markets, after adjustment for the risks that we take. So, as long as we have plenty of dispersion in the results, it’s still an interesting activity for us to pursue. Professor David Swensen: It better be good, it’s the last question. Student: I’ll try. So, my question is about performance of the Yale portfolio, and we heard that it grew from less than $1 billion–but close to it, apparently–in 1985, to $16 billion, which is very impressive. And it’s documented in newspapers, it’s online, Wikipedia, Professor Shiller introduced you with these facts. But what about the Sharpe ratio? And why do you think that people talk more about total returns than, say, the Sharpe ratio? Professor David Swensen: So, I think that one of the things that needs to happen in the funds management world is, that we need to have better measures of risk. And so, one of the reasons, why I don’t talk about the Sharpe ratio, is, that just looking at standard deviation of returns doesn’t capture risk in a way that is meaningful. I mean, I’ve seen other people do an analysis of the Yale portfolio, and show relative Sharpe ratios. And, obviously, because our returns have been so good, if you just look at the pattern of those returns, we end up scoring high when looking at Sharpe ratios across different institutional portfolios. But the risks that exist in the portfolio aren’t really captured by the standard deviation of the returns. Just a quick example: If you look at real estate, or timber, or even any of our illiquid assets, they’re appraised relatively infrequently. There tends to be a huge stability bias in the appraisals. If somebody looks at a piece of real estate 12 months ago, six months ago, and today, they’re likely to see pretty much the same thing that they saw over that period. You can compare and contrast that to the volatility they’ve got in the stock market. I think Bob Shiller deserves credit for coining the term “excess volatility.” There’s no question that stock prices are way more variable than they need to be to adjust for changes in the underlying fundamentals. So, if you’ve got a portfolio that’s largely marketable securities, you’re going to see a lot more standard deviation of returns than if you’ve got one of illiquid assets, where you’ve got this stability built-in because of the appraisal nature of the valuation process. And if you end up comparing those two portfolios, one dominated by marketable securities, one dominated by private assets, you’re going to end up with measures that are apples and oranges. Thank you very much.